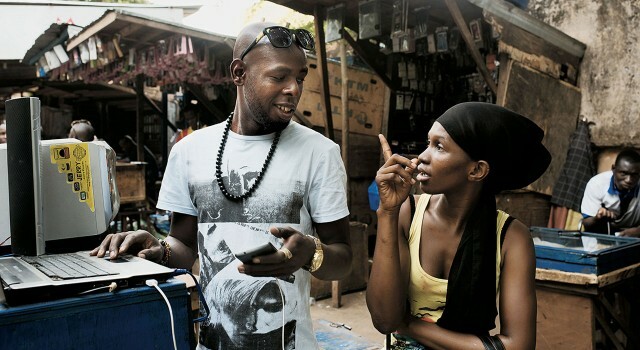 While Spotify and the soon-to-be-launched Apple Music compete to share music’s entire back catalogue with Western consumers, in Mali — where the majority of citizens remain disconnected from the internet — music file-sharing has a much more personal touch. Malian entrepreneurs, known as téléchargeurs, have created an offline music sharing market: the merchants line the streets of Mali’s capital Bamako transferring albums and playlists of recommended music to customers for a small fee. 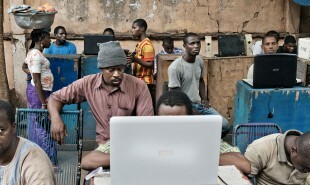 The téléchargeurs — or downloaders — use torrent downloaders to access music, both old and new, from the latest Kanye West album to songs from Malian musicians such as Ali Farka Toure — they are the personification of Pandora, Youtube playlists, iTunes and Spotify combined. As the New York Times has reported, local musicians even approach the sellers with their latest creations in the hope that they will recommend it to their customers. Music is transferred to customers using USB sticks or memory cards, or put directly onto cellphones which can then be used to play the music. Each song costs approximately 8 cents, while a music video costs about 15 cents. Of course, the practice is completely illegal, since the music is being pirated and the artists who have created it are not receiving any payment for the sales. But the tiny amounts of money exchanging hands are unlikely to attract the wrath of Western labels any time soon. Perhaps this personal, curatorial model could find a place in the connected world too?